7 Year Old Yorkie suffering from recurrent urinary tract infections and recently diagnosed with Cushing’s (hyperadrenocorticism). Patient is a 7 yr old, MN, Yorkie with diagnosed with hyperadrenocorticism. 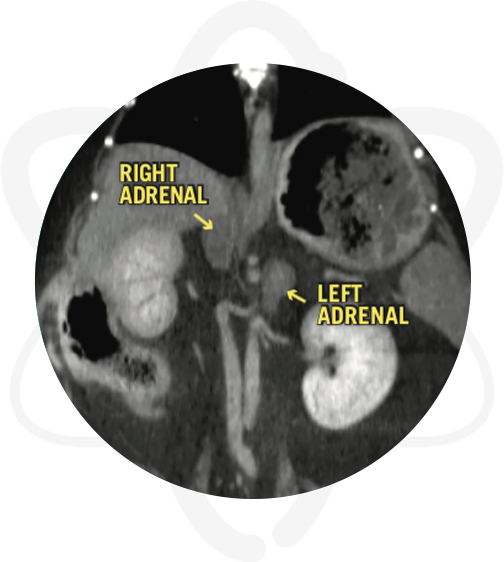 A CT scan of the abdomen and pituitary gland was requested to differentiate pituitary vs adrenal dependent hyperadrenocorticism. 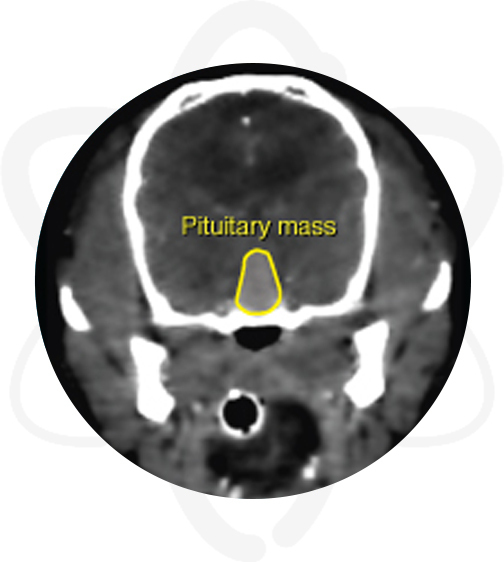 Patient was anesthetized and a pre contrast CT scan of the skull was performed. Afterwards, Omnipaque™ (contrast agent) was administered IV and post-contrast studies of the skull and abdomen were acquired.